Being a hideous psycho killer who hunts his victims in their dreams isn’t easy these days. You really have to maintain a terrifying appearance if you expect anyone to take you seriously when you pop up in their nightmares. There are two ways to do that. One is to commit a horrible crime, causing the townspeople to trap you in a building that they light on fire… We don’t recommend that. 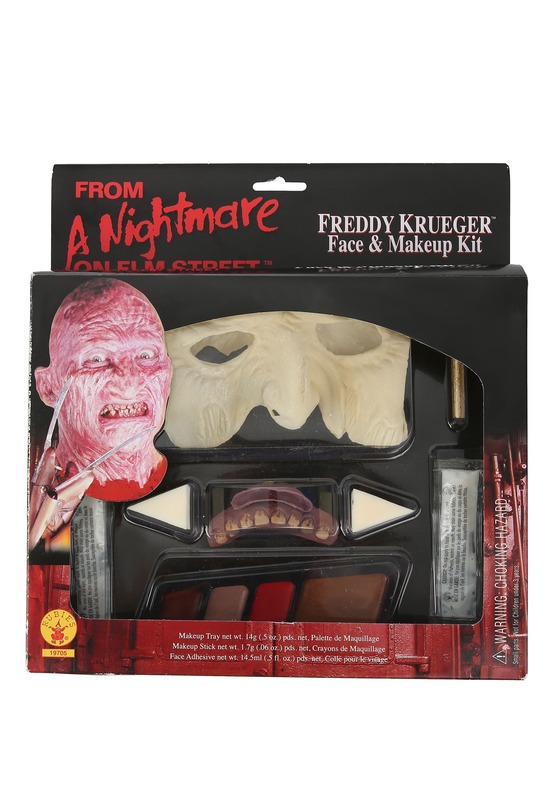 The other, easier way is to use our Freddy Makeup Kit, which we do recommend, even if we aren’t exactly an impartial source. This one is great value and doesn’t make you suffer through any traumatic experiences. Pair it with a red striped sweater, fedora, and razor sharp claws to complete the look. You’ll have the best luck if you sneak up on people who are already dozing off so they might think they’re having having a real Freddy nightmare.